Jeanne-Marie Bouvier de la Motte-Guyon (commonly known as Madame Guyon) (13 April 1648 – 9 June 1717) was a French mystic and one of the key advocates of Quietism. Quietism was considered heretical by the Roman Catholic Church, and she was imprisoned from 1695 to 1703 after publishing a book on the topic, A Short and Easy Method of Prayer. Quietism is a Christian philosophy that swept through France, Italy and Spain during the 17th century, but it had much earlier origins. The mystics known as Quietists insist, with more or less emphasis, on intellectual stillness and interior passivity as essential conditions of perfection. The soul seeks God by faith, not by the reasonings of the mind and labored efforts, but by the drawings of love; to which inclinations God responds, and instructs the soul, which co-operates actively. God then puts the soul in a passive state where He accomplishes all, causing great progress, first by way of enjoyment, then by privation, and finally by pure love. There are three kinds of silence. Silence from words is good, because inordinate speaking tends to evil. Silence, or rest from desires and passions is still better, because it promotes quietness of spirit. But the best of all is silence from unnecessary and wandering thoughts, because that is essential to internal recollection, and because it lays a foundation for a proper reputation and for silence in other respects. 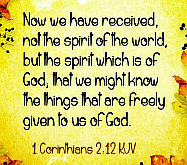 We must forget ourselves and all self-interest, and listen, and be attentive to God. If knowing answers to life’s questions is absolutely necessary to you, then forget the journey. You will never make it, for this is a journey of unknowables, – of unanswered questions, enigmas, incomprehensibles, and most of all, things unfair. Regarding your spiritual life, be open, simple and like a child. In the depths of your spirit be like a drop of water lost in an ocean, and be no longer conscious of yourself. In this enlarged condition see and enjoy everything from within God. Within yourself there is only darkness, but in God there is only light. Let God be everything to you…. God’s love is like a weight within us, causing us to sink deeper and deeper into God. The cure of all ills! Unfortunate are those who do not love you! Troubles the peace of this place. Rest assured, it is the same God who causes the scarcity and the abundance, the rain and the fair weather. The high and low states, the peaceful and the state of warfare, are each good in their season. These vicissitudes form and mature the interior, as the different seasons compose the year…God loves you; let this thought equalise all states. 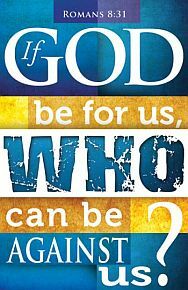 Let him do with us as with the waves of the sea, and whether he takes us to his bosom, or casts us upon the sand, that is, leaves us to our own barrenness, all is well. I implore you not to give in to despair. 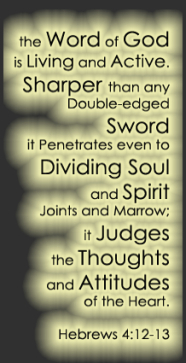 It is a dangerous tempatation, because our Adversary has refined it to the point that it is quite subtle. Hopelessness constricts and withers the heart, rendering it unable to sense God’s blessings and grace. It also causes you to exaggerate the adversities of life and makes your burdens seem too heavy for you to bear. Yet God’s plans for you, and His ways of bringing about His plans, are infinitely wise. C201 features both original articles by our core writers and re-posted material from other sources that is both Bible-centered and Christ-centered. Please support and encourage the other writers by clicking through and visiting their blogs and if you like what you see, becoming a subscriber. 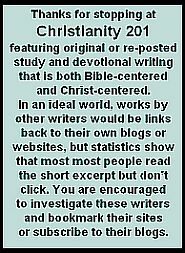 Christian bloggers: Consider writing for C201; we are always looking for new contributors, both regular and one-time. See the submissions page link below. Have All Your Sins Been Forgiven? Is this a blog to which I would want to refer readers to see what else the author has written about? Is the article rooted in scripture? Is God's word the focus? Does the item present thoughts or ideas which dig deeper, beyond the obvious or superficial? How does the article contrast or complement what else is available here? In addition to submissions we're always looking for readers who can recommend suitable material. Please note that comments posted solely for the purpose of promoting a book, conference, website or advancing someone's ministry agenda will be deleted. Comments containing shouting (use of capital letters) will not be posted.